At The Law Office of Rhoda Yabes Alvarez, LLC, solutions matter. The firm serves clients in family law, immigration and naturalization law and business law matters. From her office in Honolulu, Hawaii, attorney Rhoda Yabes Alvarez provides clients professional legal counsel in a wide range of matters, including litigation, arbitration, mediation, negotiations and settlement proceedings. 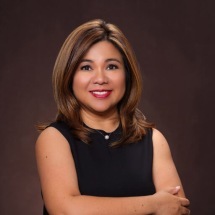 Attorney Alvarez has extensive knowledge and experience in legal issues pertaining to the Philippines and is fluent in English, Filipino/Tagalog and the Ilocano dialect. The Law Office of Rhoda Yabes Alvarez, LLC, provides commercial and civil law guidance to corporate and individual clients. Lawyer Alvarez has over 15 years of legal experience across a range of jurisdictions in the Philippines and in the United States. She studied commercial and corporate law at the University of London in London, England, and earned both her Bachelor of Arts (B.A.) and Juris Doctor (J.D.) at Ateneo de Manila University in Quezon City, Philippines. She is a member of the American Bar Association, Hawaii State Bar Association and the New York State Bar Association. Besides her active immigration and family law work, attorney Alvarez is active in both her legal and civil communities. She served on the board of directors of a public water utility, is the founding dean of the Saint Louis College in San Fernando City, La Union, Philippines, and served as a volunteer with Rotary International and Volunteer Legal Services Hawaii (VLSH). Contact The Law Office of Rhoda Yabes Alvarez, LLC, for assistance in obtaining a green card, with your divorce or for cost-effective business counsel. Free initial consultations are available to new clients for family law and immigration matters.